Guo Guangchang, Fosun Group's billionaire owner who was reported missing, has been caught up in an investigation by Chinese officials. A Chinese billionaire who was reported missing has been caught up in an investigation by Chinese officials, his company said Friday. Fosun Group said in a statement that "after making enquiries, the company understands that Mr Guo [Guangchang] is currently assisting in certain investigations carried out by mainland judiciary authorities." It gave no further details but said Guo, the group's controlling shareholder, would continue to take part in running the company "via appropriate means." Fosun has interests in everything from real estate to entertainment, and recently bought the luxury resort chain Club Med. It also owns a stake in Cirque du Soleil. In 2013, it bought the landmark One Chase Manhattan Plaza skyscraper. Guo's wealth is estimated at about $7 billion by Forbes. Fosun's statement came after trading in the shares of its Hong Kong companies, Fosun International and Fosun Pharmaceutical, were suspended Friday. That followed a report by respected Chinese business news site Caixin that the company had been unable to contact Guo since noon on Thursday. Fosun said the shares would resume trading on Monday, and the investigation did not pose a significant risk to the finances or business of the group. Still, Guo's apparent sudden disappearance adds to the mystery over missing executives and top government officials. 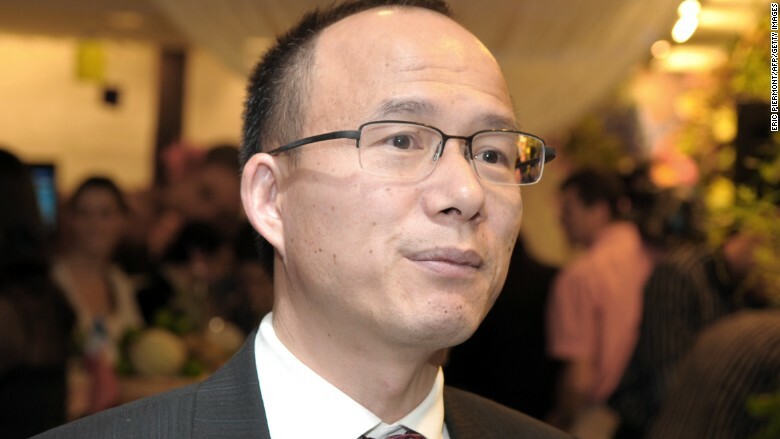 Guo Guangchang, Fosun Group's billionaire owner who was reported missing, is helping Chinese officials with an investigation. Some previous cases appeared to be linked to a campaign against corruption launched by President Xi Jinping in 2013. The crackdown was widened to include alleged insider trading investigations related to China's summer stock crash. China's largest brokerage firm, Citic Securities, said on Sunday it wasn't able to get in touch with two top executives. Citic had previously disclosed that the firm, and a number of its executives, were under investigation by Chinese market regulators. In late November, the Hong Kong subsidiary of another major Chinese brokerage said its CEO, Yim Fung, had been missing since November 18, and appointed a replacement. The company, Guotai Junan, hasn't said anything since, and Yim's whereabouts are still unknown. Zhang Xun, president of the Agricultural Bank of China, and well-known fund manager Xu Xiang have also been detained, Chinese state media have reported. Hundreds of people have been arrested for alleged rumor-mongering following the wild stock market swings, including prominent journalists, and even officials with China's securities regulator.